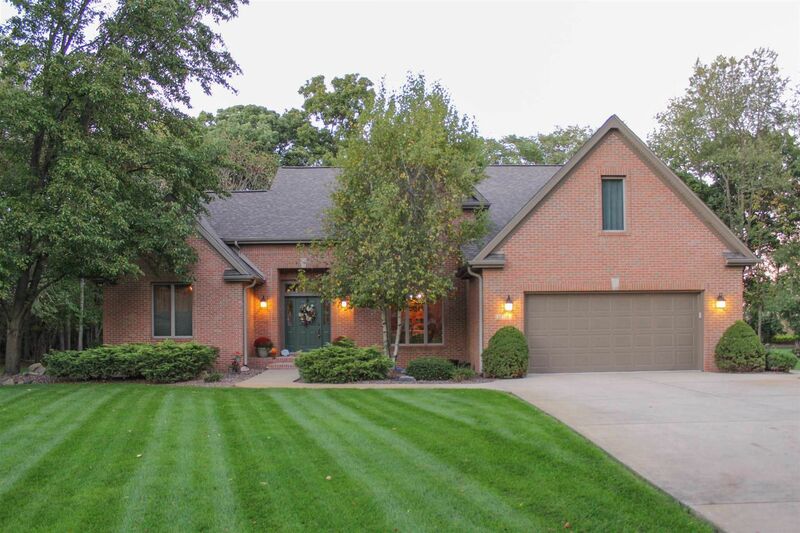 Custom built home located in desirable Stoney Creek Subdivision. The meticulous grounds offer 1.4 acres with professional landscaping that includes a 40 ft stream/water feature with a 4 level water fall between the 2 back decks, irrigation system to maintain the plush green grass, & a secluded back yard that mimics a park like setting. Upon entering the home you are greeted by the open stair case & the spacious great room with floor to ceiling windows overlooking the back yard. Room to grow! Finished sqft is 2500, additional 1689 sqft in the unfinished basement (tall ceilings & partially framed), additional 383 unfin. sqft in the 2nd story attic with duct work in place. Potential to have over 4500 sqft! Inside offers 3 bedrooms, 3 bathrooms, large kitchen with walk-in pantry, main level master suite, laundry room with utility sink & cabinets, office/loft overlooking great room & wooded back yard, & more! Recent updates include exterior paint & 50 year roof. Built with quality in mind this home will make you move!